When you stay at this villa in Kissimmee, you'll be on a lake, within a 10-minute drive of Old Town and Medieval Times. 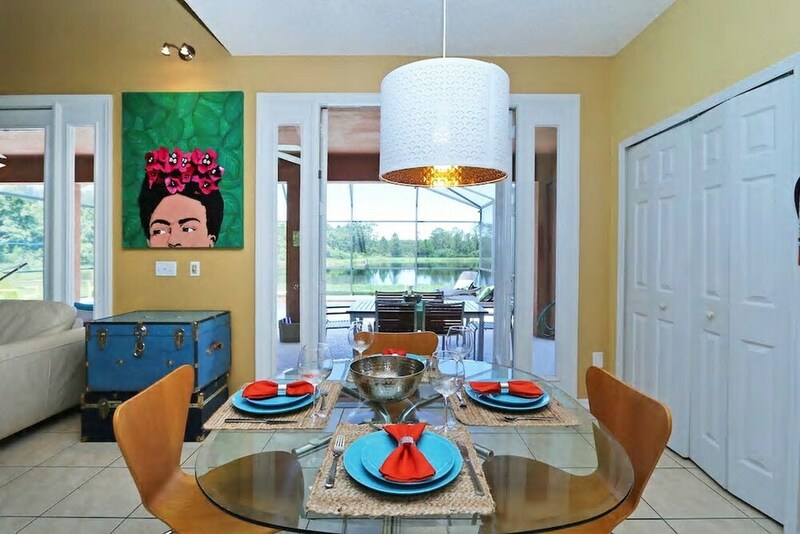 This 4-star villa is 8.5 mi (13.6 km) from Orlando Vineland Premium Outlets and 9.4 mi (15.1 km) from Disney Springs®. Make yourself comfortable in this air-conditioned villa, which features a private pool and a flat-screen TV. A kitchen is outfitted with a dishwasher. Complimentary wireless Internet access keeps you connected, and satellite programming is available for your entertainment. A private bathroom has a deep soaking tub and complimentary toiletries.